Yesterday, I wrote about a navigation tweak that would lower number of clicks overall and improve the newbie experience. Today, I can bring you an update about what it'll look like! The first thing we did was get rid of the 'Host' tab. While fairly intuitive for experienced gamers, not all people would understand what to do when confronted with the choice between hosting and joining, or what either of those even mean. 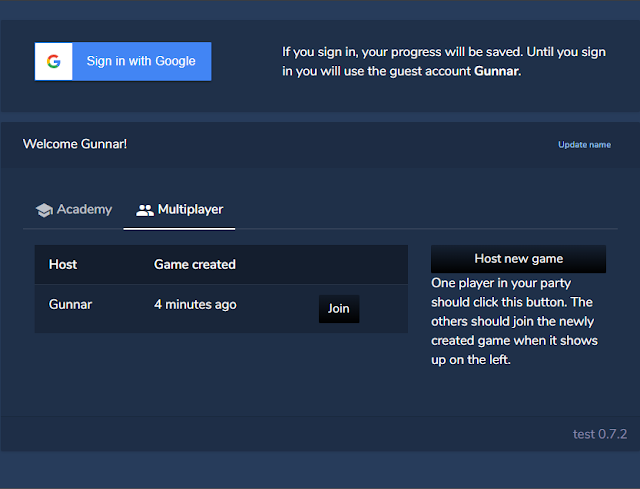 And then we put a host button right next to the game list, so all the multiplayer options are right next to each other! Up next are some fixes for Firefox, because we've discovered that the new menus load extremely slowly, and the test version is slightly broken using Firefox.